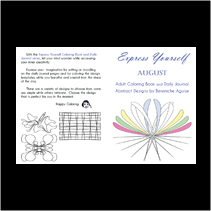 Coloring journal book. 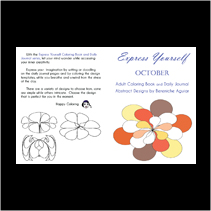 original abstract design for each day of the month by artist Bereniche Aguiar. 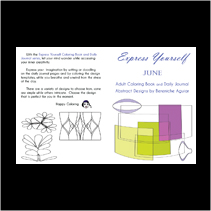 Each design is single printed on a large 8.5” W x 11” H high quality white paper. 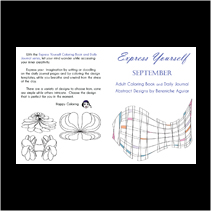 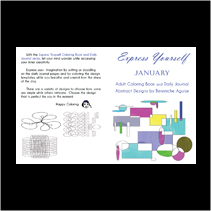 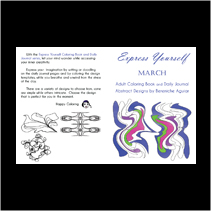 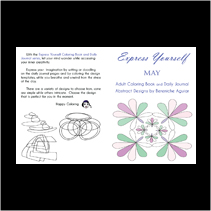 Let your mind wander while accessing your inner creativity with the Express Yourself Coloring Book and Daily Journal series. 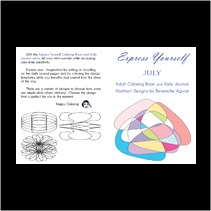 Express your imagination by writing or doodling on the daily journal pages and by coloring the design templates, while you breathe and unwind from the stress of the day. 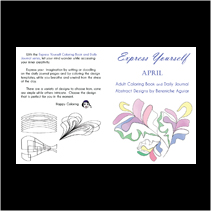 There are a variety of designs to choose from, some are simple while others intricate. 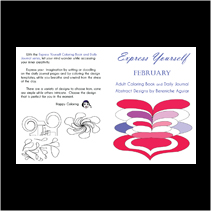 Choose the design that is perfect for you in the moment. 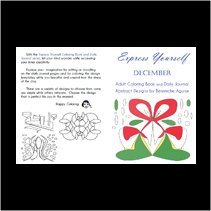 Excellent gift for children ages 7 to 13 and adults of all ages.